I’m so glad you found your way here! Did you know that life does not have to be hard? And that there is a parallel reality designed especially to provide human beings with everything they need and desire, easily and without struggle? I was given the key to enter this parallel reality, and it has worked like magic for me and for the many others with whom I’ve shared it. Now, I’m passing it along to you. 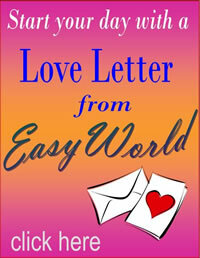 Welcome to Easy World! Welcome Home. P.S. 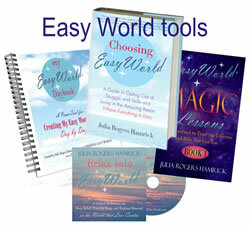 Visit me at www.juliarogershamrick.com for much more juicy stuff to help you create a life of ease and joy! Stay in the loop�get on Julia's list!